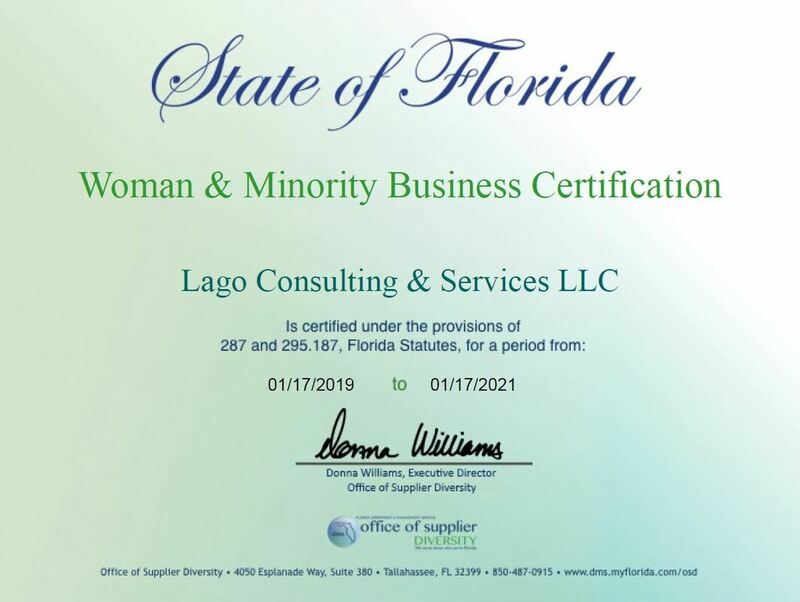 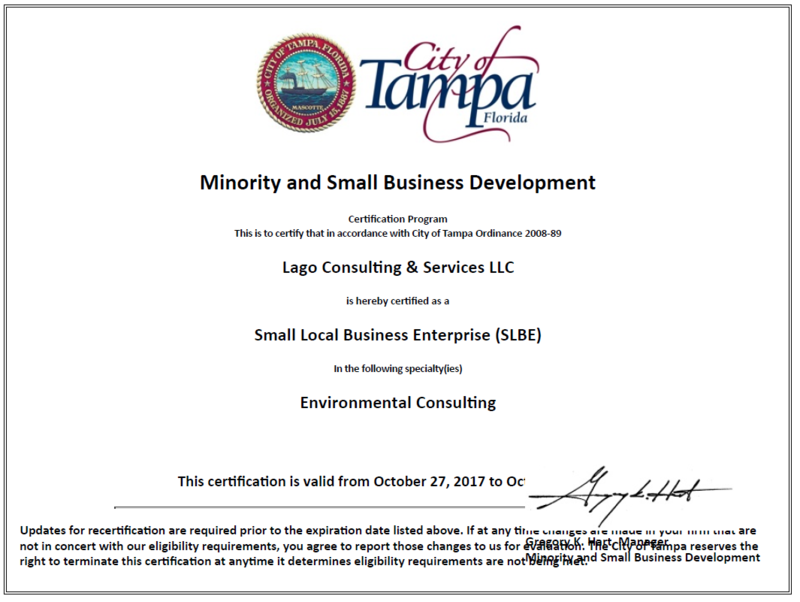 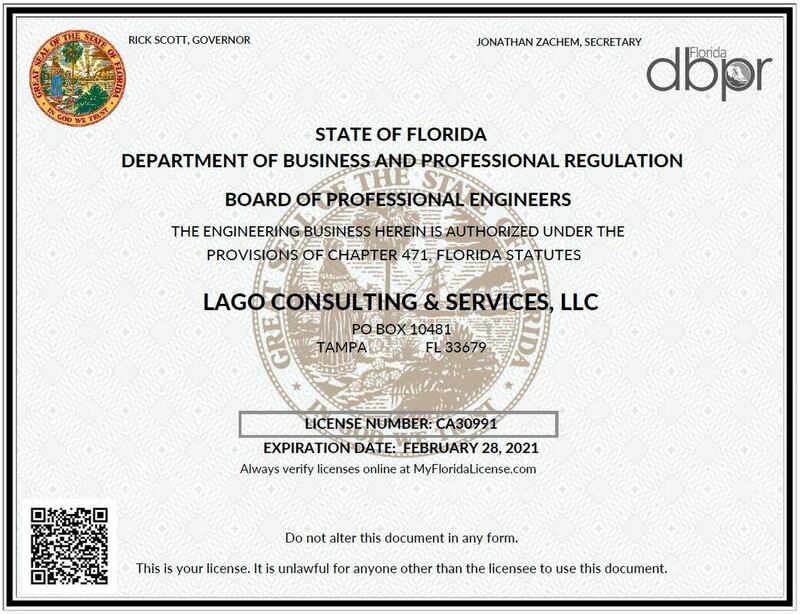 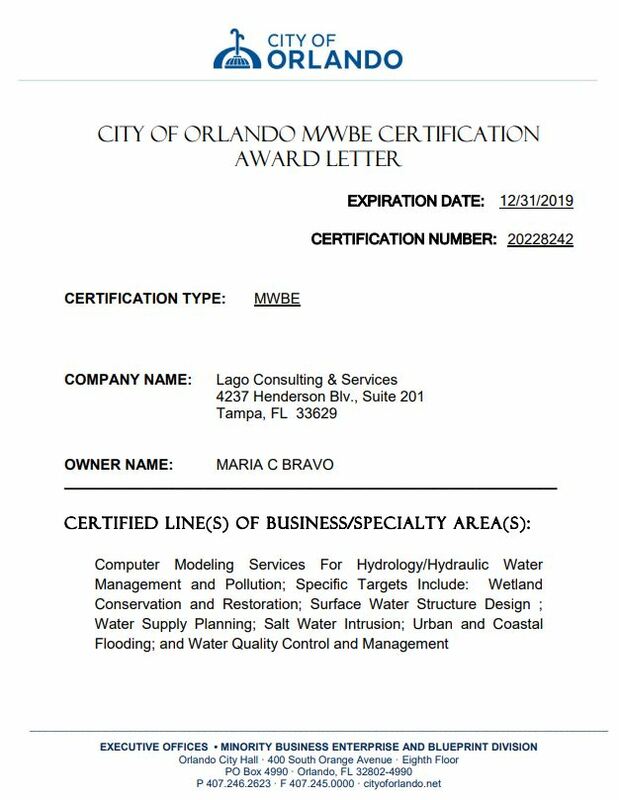 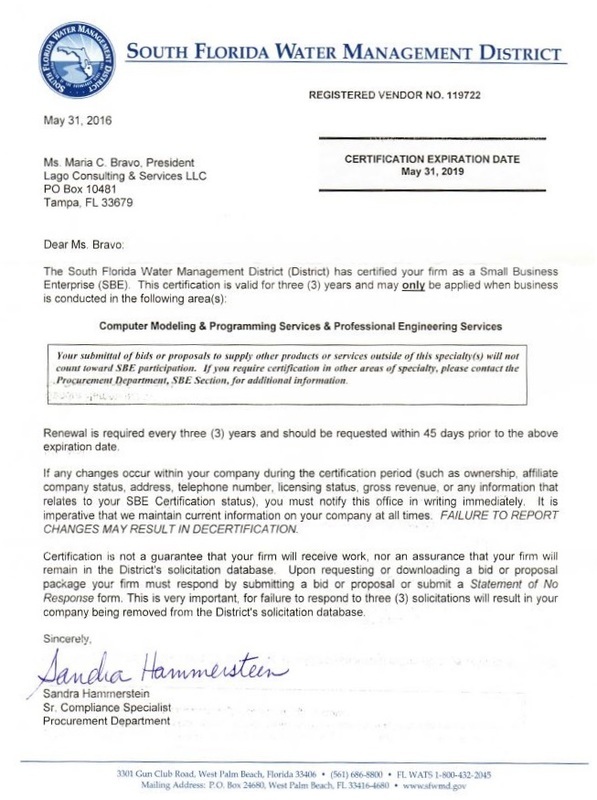 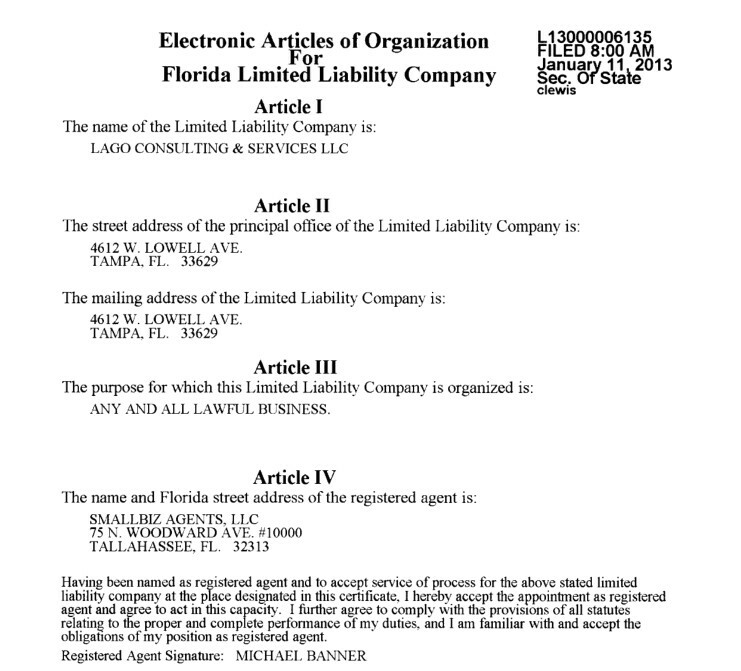 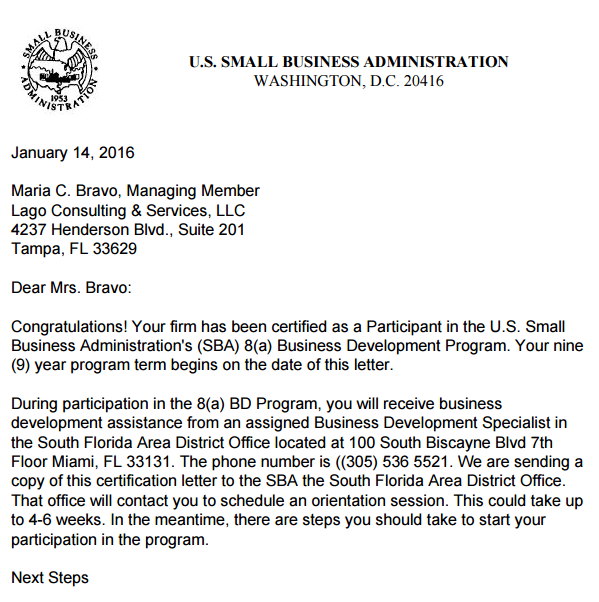 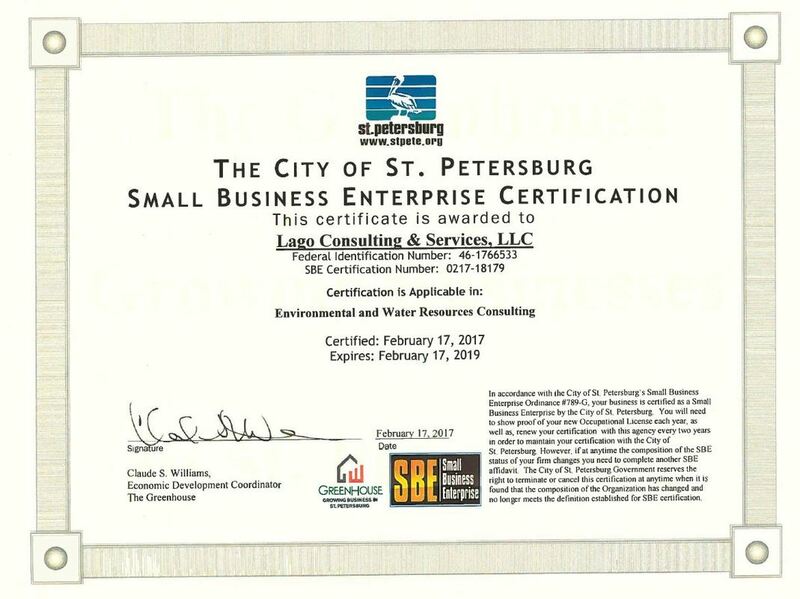 Lago Consulting & Services LLC is a Small Business Enterprise (SBE) registered in Florida, that is certified as Disadvantage, Minority Owned Business, and Participant in the U.S. Small Business Administration's (SBA) 8(a) Business Development Program. 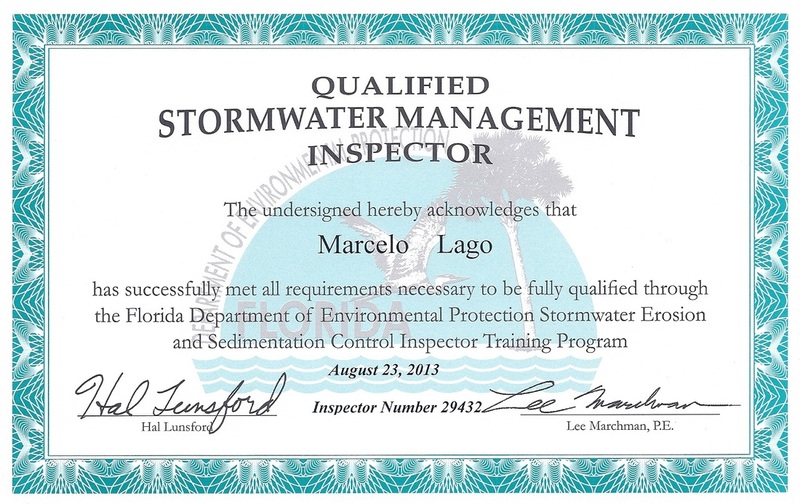 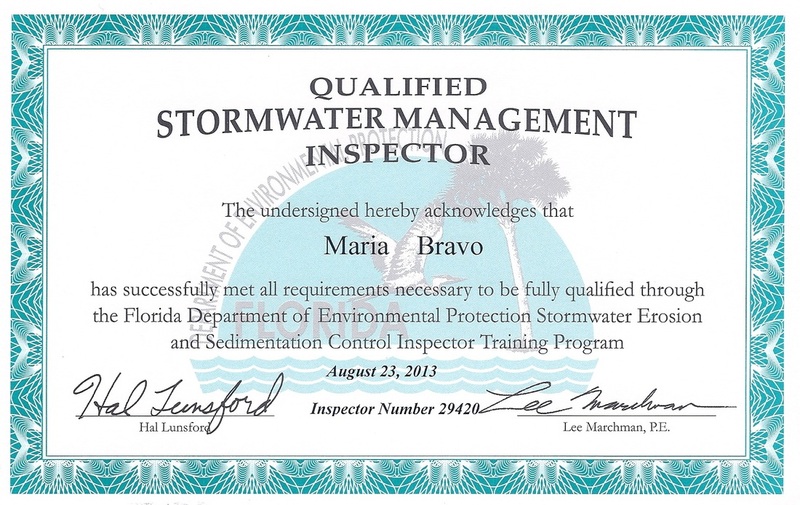 We are confident that our major strengths do not rest on these certifications, but rather in our capabilities and our commitment to quality work. 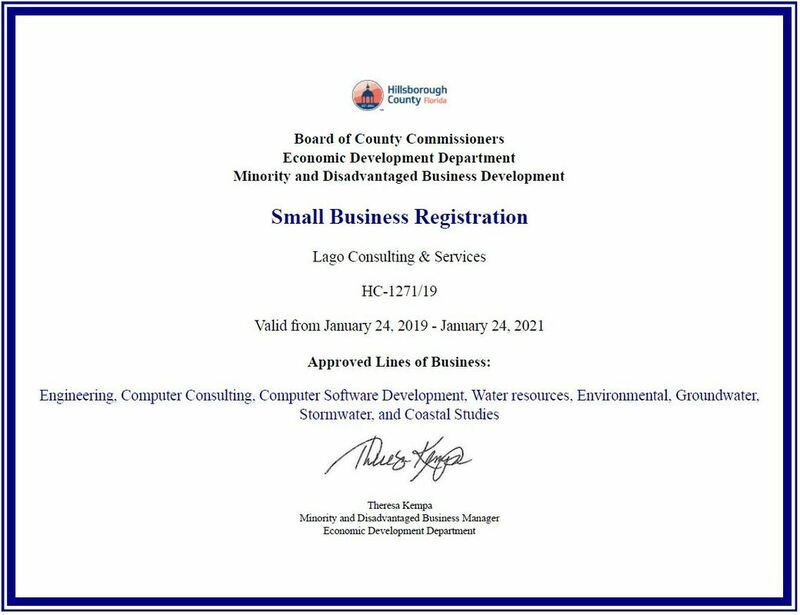 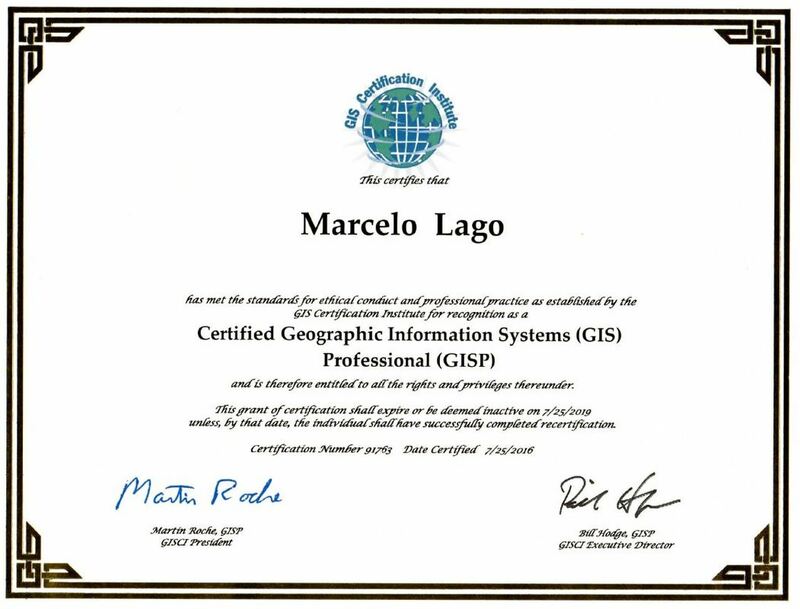 However, having these certifications can tell our clients that we are serious about our business and that we are committed to making it grow with dependability, effort and excellence. 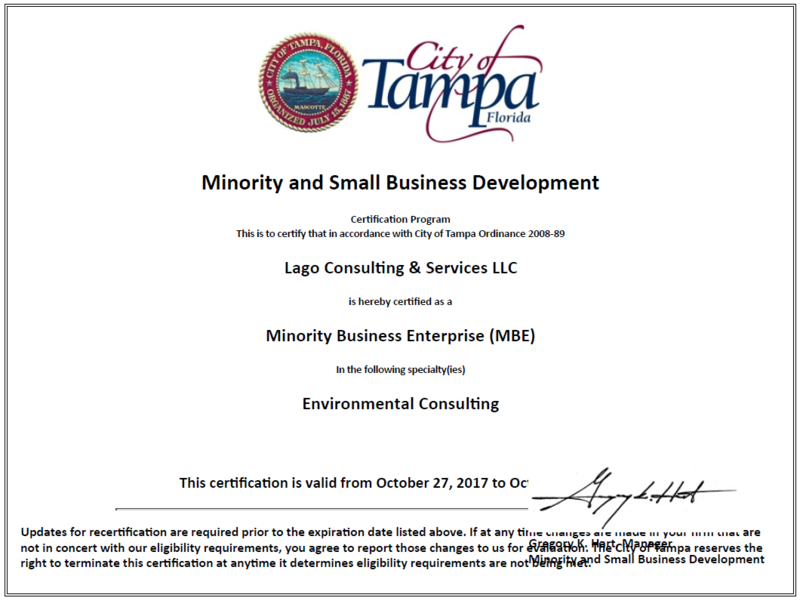 Office of Supplier Diversity. 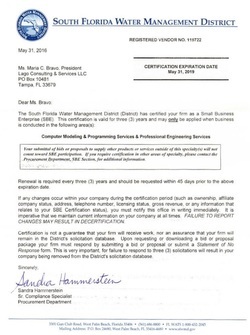 Florida Department of Management Services. 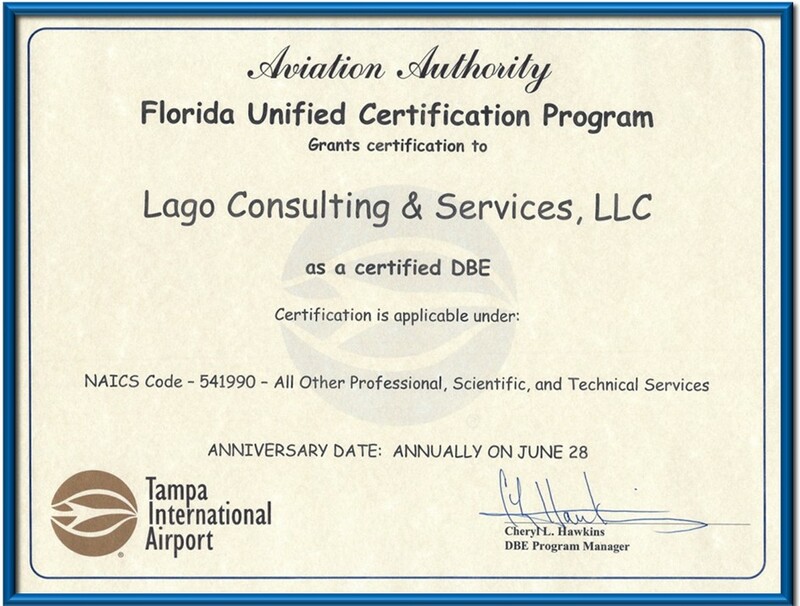 Aviation Authority. 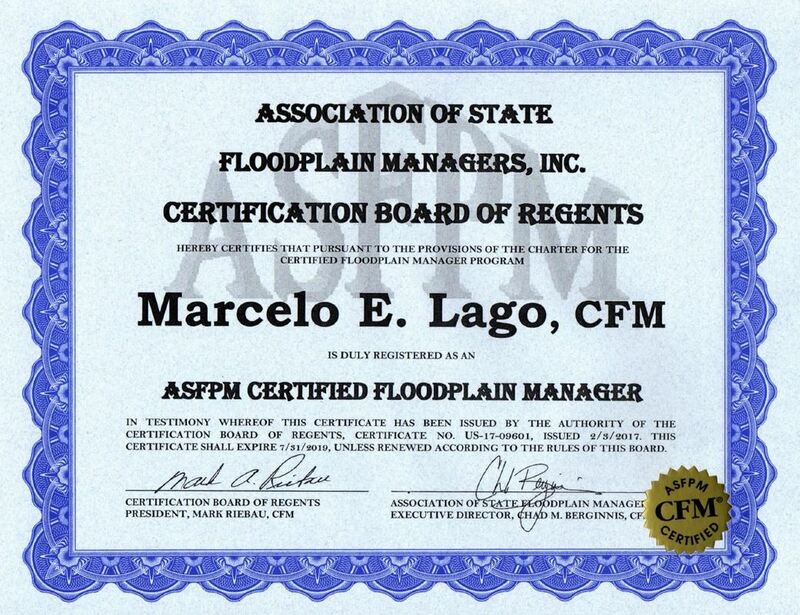 Florida Unified Certification Program (FLUCP). 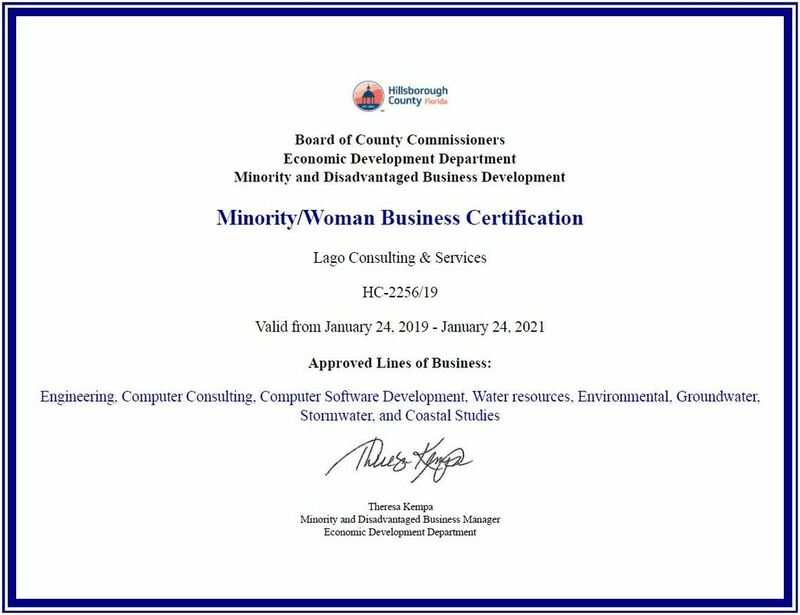 Disadvantaged Minority/Women Business Enterprise (DM/DWBE).